Whilst the town has long been a popular tourist destination with a buoyant retail market, in recent times there has been continued demand from both commercial occupiers and investors who are keen to get a slice of the cake. Following a subdued couple of years, the office investment market has picked up again with two notable sales at £14m and £15.8m in the past 6 months, the latter marking the largest asset deal in Windsor since 2004. Development in the town has historically been constrained, hindered by restrictive planning and an established town centre. 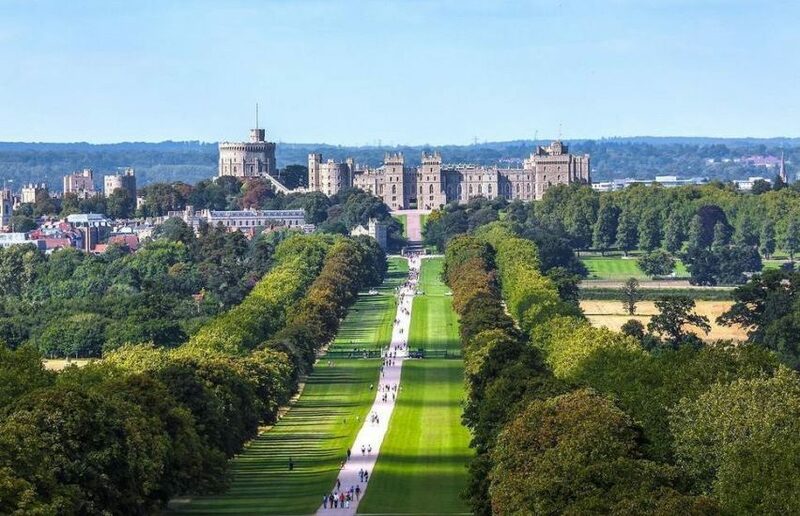 Office accommodation has in fact declined in Windsor since the late 1990’s and whilst there are talk of new schemes breaking ground in attempt to re-vitalise the local economy there is an underlying risk that residential schemes will take preference. Take Salmon Harvester’s site at 67 Alma Road; the plot already has consent for some 250,000 sq ft of offices and had been marketed as Windsor Business Quarter, however the latest application has reduced the planned office space by 150,000 sq ft and has been replaced with a proposal for Windsor’s first build to rent scheme, delivering 217 new apartments. A few miles upriver lies Maidenhead, Windsor’s slightly uglier sister. Whilst the tourists and the royalists tend to skip over Maidenhead as a destination, the office market here is much larger than nearby Windsor. With ongoing talk of investment and redevelopment and newly launched private and public initiatives, the town may soon become the ‘jewel of the Thames’ again. The office supply pipeline has been light over the last couple of years and resultingly rents here have been known for setting the benchmark for the Thames Valley, and continue to do so; £39.50psf was recently achieved and rental growth has been 4% year on year. The market also has global appeal, with two recent sales to middle eastern investors, each over £20m and at a sub 6% yield. But it’s the residential development pipeline that’s the talk of the town. Right in the heart of Maidenhead, a 3.1 acre site known as the Landing is set for a £250m redevelopment, and appears to have the prime ministers approval following Theresa May’s recent visit to the public consultation. The site already has planning permission in place however the newly appointed developer are hoping to get consent for a modified scheme with a reduced amount of office space and an increased number of homes, alongside retail and a new vibrant public space. Meanwhile plans are set to be submitted in the next month for the development of four town centre sites under control of the Countryside Property and council joint venture which hopes to deliver 1,200 new homes in the biggest release of public land in the borough for several years. The proposed office offering is limited. There are some glimmers of hope for prospective office occupiers; the development of 1 Marlow Road is due to deliver 19,000 sq ft in early 2019, and Campmoss Property Company are close to breaking ground on a 49,000 sq ft office development to the north of the town, provided they get pre-lets in place. However, as house prices continue to rise there remains the possibility that more potential schemes will either reduce or eliminate their office floorspace in favour of residential development, putting further pressure on the existing office space and leading to even higher rental levels, a trend which has been witnessed in towns throughout the South East. Either way we can be certain that someone will reap the rewards of one of the single largest infrastructure investments undertaken in the UK; with the arrival of Crossrail to the town in December 2019, reducing connections to Bond Street to just 39 minutes, it looks like Maidenhead’s big day is still to come.